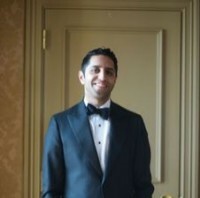 Dr. Noor was born and raised in New York. He completed his medical education at George Washington University School of Medicine in Washington DC and completed his dermatology residency at Rutgers-Robert Wood Johnson School of Medicine where he was the chief resident. His interests include skin cancer and medical dermatology with a special interest in Cosmetic Dermatology, including Botox, Fillers, and Lasers. He has received several distinguishing awards from the New York Academy of Medicine in the field of dermatology and is currently a member of the NYC Medical Reserve Corp.